The question has been popped, the ring is on, and it’s time to announce the news. What better way to ‘share’ this moment than by taking the perfect photo of your engagement ring? But, with all the diamond engagement rings out there, how do you make yours stand out? Treating yourself to a manicure gives you the perfect digits to show off your beautiful new accessory. If your fiancé has caught you off-guard and you can’t wait to get a manicure, simply putting on hand lotion can make a huge difference. Still not happy? Try cropping out undone nails or experimenting with filters. Lighting can make or break a photograph. For an engagement ring snap, natural lighting is always best. Either go outside or near a window to give your camera the best chance of capturing that sparkle. Just like people, your ring has a perfect angle. Finding this might take some experimenting, so take your time to get it right! To start, try picking your favourite feature – if your ring has a unique setting, take the photo on an angle; if the shape of the stone is magical try an overhead shot. For a stunning range of diamond engagement rings in all shapes and sizes to suit even the fussiest of fingers, see https://www.comparethediamond.com/diamond-engagement-rings. The backdrop of your photo is almost as important as the ring itself, but shouldn’t be overbearing. If the proposal took place somewhere exciting, why not try to capture that as the background to your ring selfie? Or maybe your favourite dress would make the perfect backdrop? Experimenting with focus can also make a big impact; try blurring the background so your ring takes centre stage. After all, when your other half gets down on one knee, the rest of the world drifts out of focus. Be aware of the limitations of your camera. 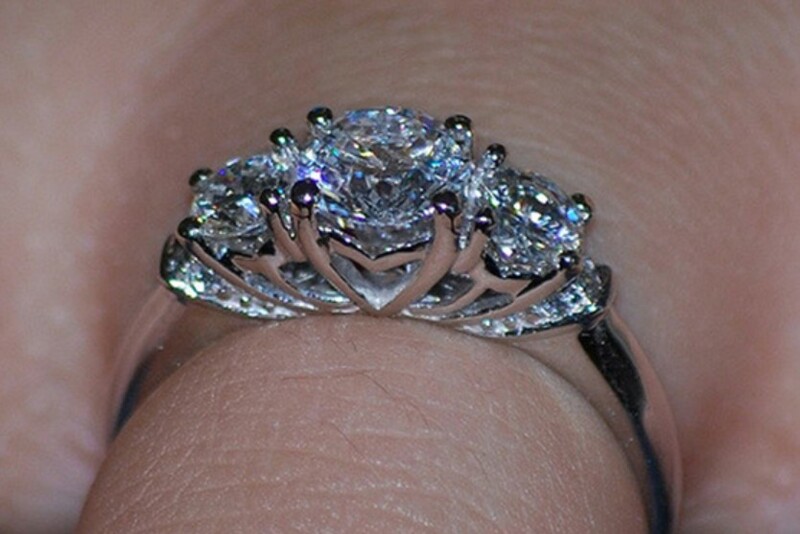 Never use zoom or flash when photographing your ring. Check out Hubspot for tips on how to get the most out of your camera phone. We know you’re excited to share the moment, but sometimes it’s worth waiting to get a photograph as perfect as your love.